While Tiger Woods and Phil Mickelson were busy fighting for supremacy at Pebble Beach last weekend, another important battle was taking place just down the street (unbeknownst to almost everyone). 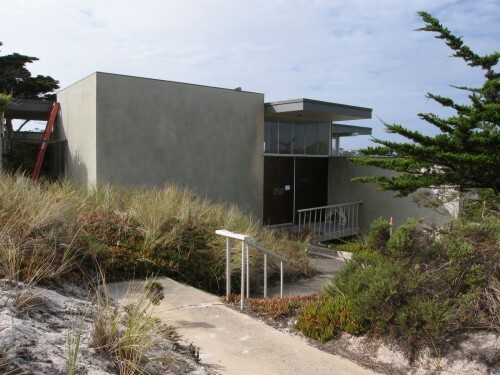 Richard Neutra's 4,124 square foot Connell House (1958) in Pebble Beach is being slated for demolition in favor of a 12,000 square foot behemoth mega-mansion. 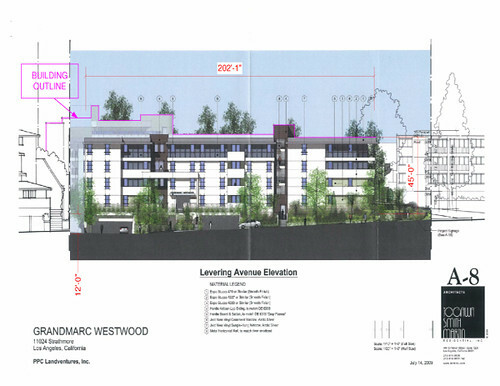 The new home was proposed in December, and still needs several permissions for approval. 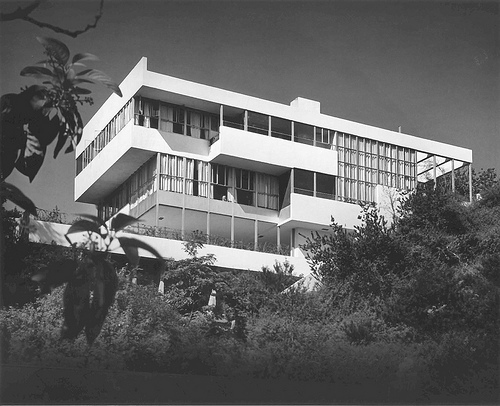 Author Barbara Lamprecht, author of Richard Neutra: Complete Works (Taschen), has written a letter to the Monterey County Planning Department urging it to save the "aesthetically compelling, spatially complex house," with its "careful asymmetric composition of volumes and opposing opaque (stucco) and transparent (glass) planes." She encourages others to contact the department as well. Think of it as a pro/am for architecture buffs. 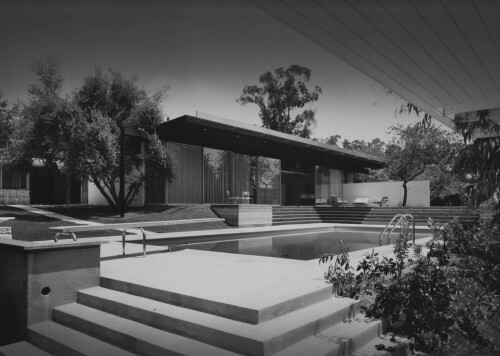 After a lengthy battle Richard Neutra's Kronish House in Beverly Hills has been saved. Completed in 1955, the house, considered one of Neutra's finest (and largest), came very close to its demise this summer after its new owners refused preservationists' pleas and began the demolition process. But after the outcry got louder, the owners placed the demolition on hold, and now a buyer with an interest in restoring the home has just closed on the house. Redfin lists the price at $12.8 million, and the buyer remains a mystery. 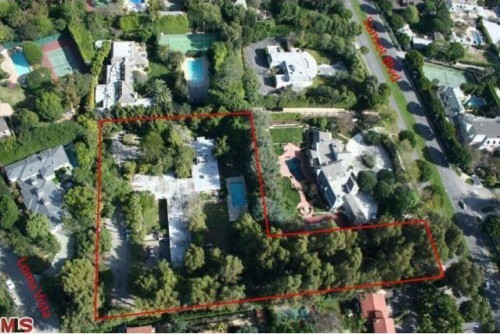 Meanwhile the city of Beverly Hills still has no preservation ordinance, although officials claim to be developing one. Let's get moving Beverly Hills, before another masterpiece isn't so lucky. Steve Jobs would have been proud. 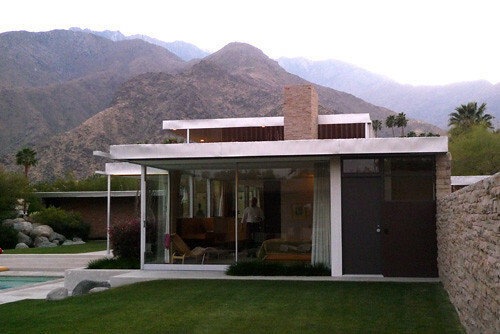 So would Richard Neutra. 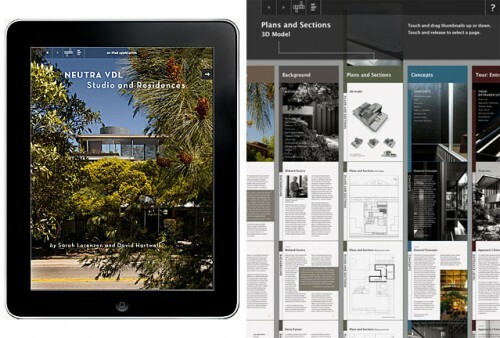 The Neutra VDL House in Silver Lake now has its own iPad App. Developed by Sarah Lorenzen and David Hartwell, the app includes stunning new pictures of the iconic modernist house, tons of information about Neutra, an annotated historic timeline of the home, guided virtual tours, and information about the house's design, construction, and materiality. We especially love the 3d models, plans, and sections, which can be rotated on axis, giving you a new understanding of the house and providing some classic iPad fun. Neutra In Danger in Beverly Hills? Last month we reported on Beverly Hills' virtually nonexistent preservation policies and the destructive results for Modern architecture. Well those (lack of) rules seem to be at issue again, as we learn from Curbed LA that Richard Neutra's 1955 Kronish House is for sale, with a listing on Redfin emphasizing the land's "huge upside potential as a major estate." The listing does not even mention the name Neutra. The 7,000 square foot home on two acres was foreclosed on in January at $5.8 million. The listing invites buyers to "Bring your contractor to remodel the existing single story mid century home or build your dream home." According to the city it's too early to take any action, since no sale has taken place and no plans have been proposed. "As far as the city is concerned it's just a house for sale," said Beverly Hills spokesperson Therese Kosterman. "We can only deal with a proposal that's before us." 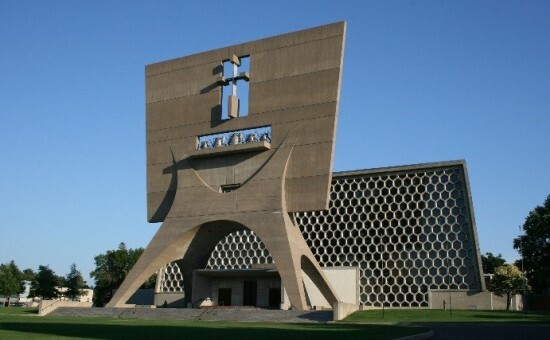 Hopefully that proposal won't involve tearing down yet another midcentury masterpiece. If you love the work of Richard Neutra or his son Dion, check out the round of festivities in LA this weekend that we like to call NEUTRAPALOOZA! They're otherwise known as the Neutra Practice 85th anniversary Celebration Party. Our favorite event is the "Followers of Famous Design Fathers" symposium on Saturday, which will include Eric Lloyd Wright, Emily Ain, and Nathaniel Kahn, among others. And for you lucky Neutra house owners, there's the Reunion of Neutra Owners, Clients, Collaborators, and Builders later in the day. The events end on Sunday with a comprehensive Neutra Interiors tour and a tour of Neutra's famous Lovell Health House in Los Feliz. If you're a Neutra fan you really shouldn't miss this. And if you're not, you'll probably become one if you go. Either way you can't lose. As promised yesterday, we are going paparazzi. 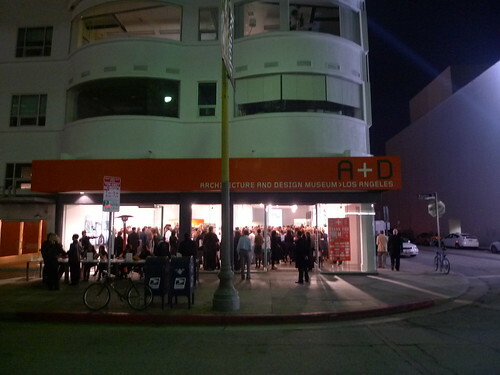 We have pix of the architecture event of the week: the opening of LA's A+D Museum. (See Slideshow Here). The event drew hundreds into the museum's brand new space, a beautiful white jewel box located on the ground floor of a midcentury office building. Guests were treated to tunes from KCRW DJ Tom Schnabel, and bid on works of art and sculpture created by some of LA's biggest architects and cultural icons. Big names contributing work included Bruce Mau, Max Neutra, Lorcan O'Herlihy, Thom Mayne, Richard Meier, Hitoshi Abe, and many more. And so it begins for a museum that has for years been known for not having its own space. Welcome home. It's rare that journalists get to live the fabulous life. So when we do, we have to share it with you. Myself and AN contributor Greg Goldin took part in a great media panel on Friday in Palm Springs for the California Preservation Foundation Conference, with co-participants including author Alan Hess, Christopher Hawthorne (LA Times), Martha Groves (LA Times) and Kimberli Meyer (MAK Center). But what we really want to brag about was our dinner that night at Richard Neutra's Kaufmann House; one of the most famous homes in America. The modernist gem sold for $19 million at a Christie's auction last year, only for the sale to fall through shortly after. Thanks to the generosity of the house's owner Beth Harris—one of the conference organizers— we and other attendees spent the evening dining on Pad Thai, wandering the house, and gazing out at the surrounding mountains at sunset. This was no tour. This was experiencing Kaufmann for real. The home was recently renovated by LA firm Marmol Radziner, who spared no expense in returning it to its original state. Meanwhile the owners have increased its lot, which is full of great desert features, so it feels at one with the landscape around it. Harris also entertained us with stories, such as the time she returned home only to find that her mother had welcomed in a tour bus full of European students, having assumed that they had a planned tour. We also learned of the nearby animals, like skunks and bats, that like to hang out and try to take advantage of the home's indoor outdoor features.